When I first dove into the world of backpack hunting, I thought I was pretty tough. I remember dismissing gear items like sleeping pads. As a kid, I would sleep on the ground all of the time and be completely fine. “Who needs one of those pesky air mattresses?” I thought. Sooner or later, after much research, I settled on grabbing one of the old school roll-up foam pads for my first trips into the backcountry. They were cheap and fit the bill. They also barely fit into/on my backpack, though, and I was soon on the road to bigger (more like smaller) and better things in the names of sleeping pads. No longer was I on “Team No Sleeping Pad.” I was a convert and a firm one at that. But what’s so special about sleeping pads? Why are we better off with them, rather than without? Why should you bring along a sleeping pad? The first thing that most will probably think of when asked this question is obviously comfort and I wouldn’t argue with them at all. Comfort is a huge plus with most sleeping pads, but not all. Remember that relic of a pad I mentioned above? The roll-up foam one? Those are definitely not built for comfort like the newer inflatable models of today. So, why did I bring it? Sleeping pads serve a greater purpose in the long run and that comes in the form of warmth, which is referred to as its R-value. Maybe, you’ve heard of it? It is a sort of rating for each pad out there. The higher the number, the warmer the pad. That old foam pad has an R-value of around 1.5. Not a ton, but it did the trick. You can find pads that go all the way up to almost an R-value of 6, which is pretty toasty. I like around number 3. For me, this is a great all around R-value that will take care of you in most situations. These pads are actually insulating your warmth and protecting that warmth from the cold ground. 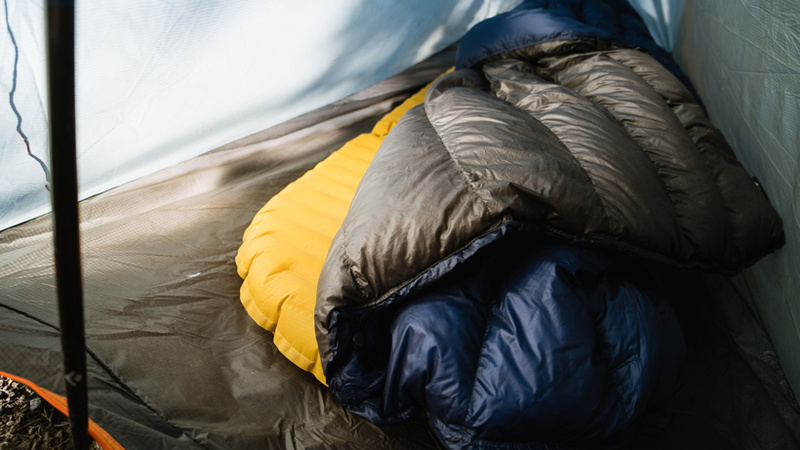 This might not be a huge deal during the summer months, but when the temperatures drop, trust me, you are going to want that warm sleeping pad. These are going to be very similar, if not the same, as the old school roll up foam pad I mentioned at the beginning of this article. As I said, they are cheap and get the job done. If it is between me bringing this pad or not going out, I’m bringing this pad. They are much bigger than the newer inflatable models, but they are also very lightweight. 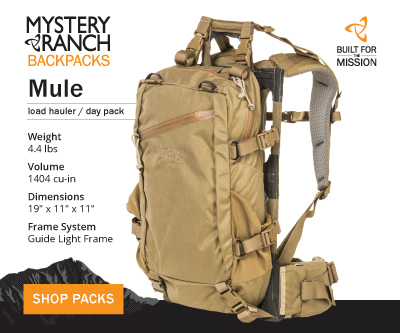 This is a great option for a beginning backpack hunter who isn’t ready to take the plunge towards one of the more expensive pads just yet. The most important thing is that you get in the field and this will get you there. That sounds pretty cool, right? A pad that inflates itself? That’s right, they exist and are a sort of hybrid pad. They blend the foam pads with the inflatable ones. What happens if you start with the pad compressed, just like it was in your pack. From there, you simply open up a valve and that will release the pressure of the compressed foam, which will inflate the pad. These pads are a bit thicker than the first option, which offers more comfort. My brother used one of these for a bit and he really liked this part of it. The part that he didn’t like though was how big it was. They are smaller than the first option, but still pretty big and not as lightweight. 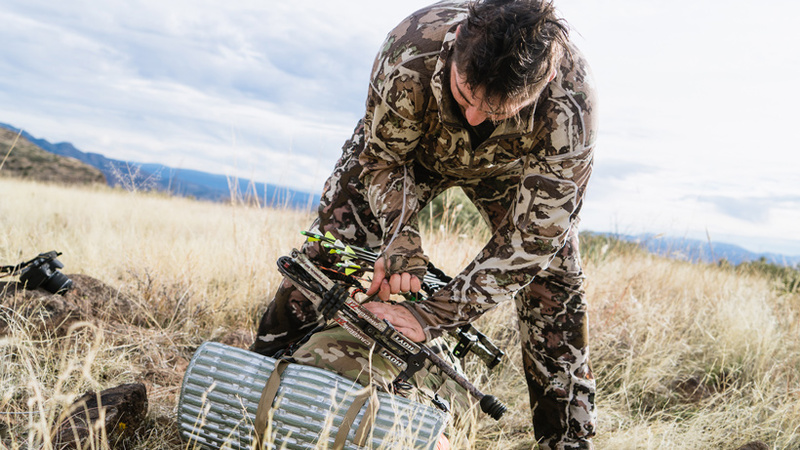 This is the option that most of us in the backpack hunting world land on sooner or later. The name says it all. They are completely inflatable. That is both a positive and a negative. You’ll understand after blowing one up at 10,000’. It takes the air right out of you! These pads are both thicker and more comfortable—the best of both worlds. Great comfort in a small and lightweight package. Yes, you are going to pay for that lightweight package, but let me tell you, it is 100% worth it. A good night’s sleep is important back there and these little gems belong in your backpack for that reason. I highly suggest that you carry the little repair kit with you, though, because they are inflatable, which means that they can pop. This can easily be fixed with the repair kit. We have established that bringing a sleeping pad along is probably for the best. We have also laid out the different kinds of pads that are available. Here’s the next question: should you go ultralight or not? 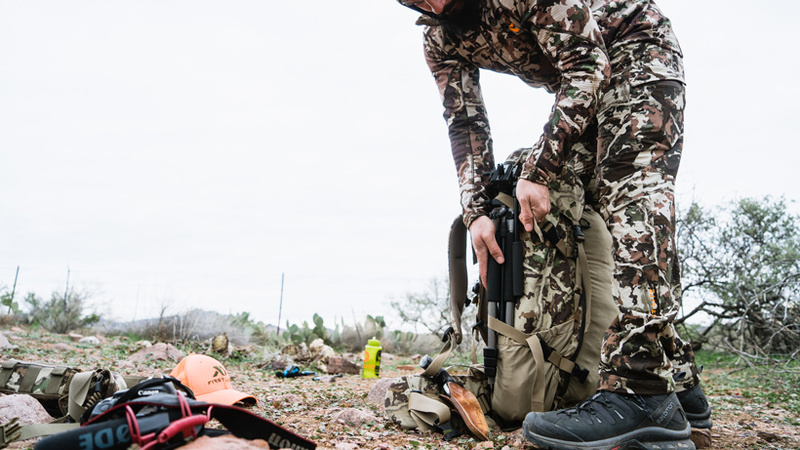 I’ve never heard someone say, “I really wish my gear was heavier.” A lightweight backpack is a huge plus on a backcountry hunt. You are way less fatigued and recover easier from the day’s events. 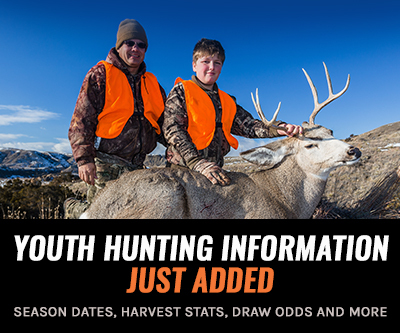 This equals hunting longer and harder. 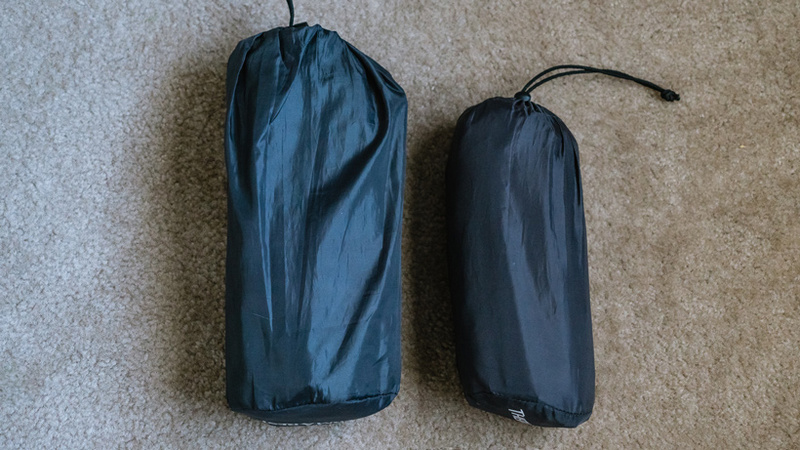 Ultralight sleeping pads have really gotten to the point where you don’t even notice them in your pack—until you open it. The pad I run is 12 ounces. 12 ounces of backcountry heaven. Like most ultralight options out there, that pretty weight comes at a price and that price is not just what you pay at the store. Ultralight equipment is just that: ultralight. It’s very thin and you feel like it could break at any moment. If you are incredibly hard on your gear, the most ultralight of ultralight options might not be for you. In terms of pads, I have never had a failure in this regard, but have heard many stories of those that have. I just try and make sure that before putting my pad down, I clear the area of any sharp objects. Mine is still going strong without ever having to repair a pad. The “normal” options out there for sleeping pads are going to be just as effective at what they do as any other one. You will get that effectiveness at a lower cost as well. Let’s face it: backpacking equipment is expensive so anywhere you can save money is welcome. If you don’t mind the little bit of extra weight and the slightly less room in your pack, I say go for it. I used a “normal” pad for years before upgrading to an ultralight model. That pad is still going strong with no leaks and still as effective as ever. It was half the price of the one I have now. It’s also twice the size in my pack, which is why I wanted to upgrade. 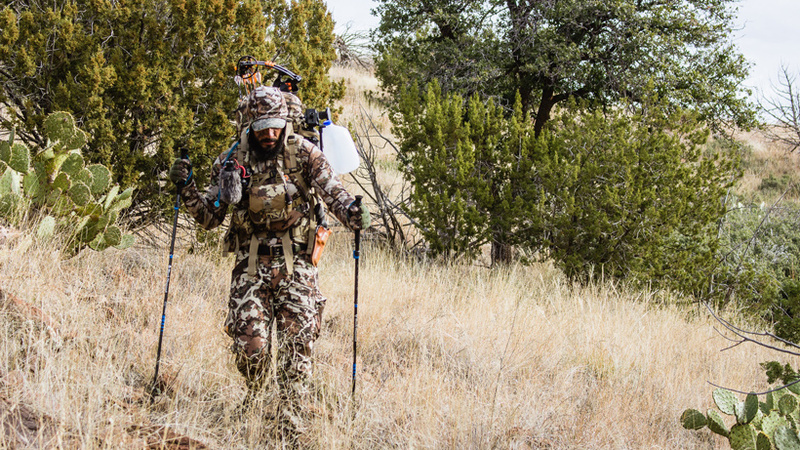 If I have more room in my pack, I can pack more food, which lets me stay in the field longer. There it is! The skinny on sleeping pads right before you! Looking back on when I first started this backpack hunting thing out, I laugh. How close-minded I was to dismiss needing a sleeping pad in the backcountry. Nowadays, I can’t imagine going out there without a pad and, honestly, I wouldn’t. Even if I had to bring along that old foam roll-up pad that I can’t stand the sight of, I would do it. So, whether you grab an ultralight pad, an old school one, self-inflating or a normal version, do it. You absolutely will not regret it. 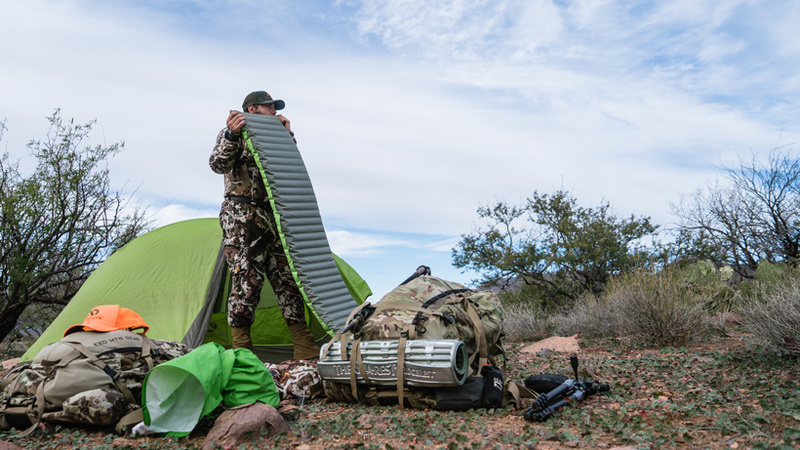 Backcountry hunting is hard and you will appreciate the good night’s sleep at the end of a long day. Sleep is fuel and fuel is one of those things you need to keep pushing. I've been running a Thermarest Neoair Camper for years. I often think about getting a lighter model, but I just can't bring myself to do it. Given the comfort and reliability of the Camper, the weight penalty isn't such a big deal. Especially when you consider how catastrophic it would be to have an irreparable leak while deep in the backcountry. My sleeping bag isn't insulated on the bottom, but rather has a sleeve for the pad and relies on the pad for insulation from the ground. Hey, James! I havent had any experience with that exact pad, but I've used gear from Nemo for years and they've always been solid. Good luck! I'm looking at buying the new model of the Nemo Tensor Insulated. Anyone have experience with it? Awesome man! That's exciting stuff! Get ready to be ADDICTED! Best of luck! Sorry to hear abou the bad experience with the Klymit! I have had great luck with the thermarest pads. Used them for years with no issues. In particular the Neoair trekker and the Neoair Xlite. I'm a side sleeper and have done well with these. Glad you're liking that big agnes pad! They make great gear. I actually covered R-Value above in the section "Why you should bring along a sleeping pad?" Good luck out there. This article is missing so much info! It’s basically a one minute overview of sleeping pads with a catchy title! The real “skinny” can be found on real backpacking sites. Unfortunately, many are runny anti’s. But I have been light/ultralight backpacking for many years. R value is the single most important thing to consider when choosing a pad! It must work with your sleeping bag to get you to the rated temps of ypur bag. Even more importantly if you use or want to use a quilt. That is why it’s always referred to as a sleeping system. Then weight. I have used every brand and some squeak, some sound like popcorn. You slide off of some and some are terribly difficult to inflate. All brands of inflatables have failed. There are many good brands on the market read reviews of experienced users. I use two/three separate pads depending on the trip. Trips where average night temps will be above 30 ( Exped HL r-value 2.9 11oz). Winter temps (Exped UL Down 7 r value 5.9 19oz) and a foam non inflatable Thermarest SOL for when I don’t want to risk a popped inflatable (desert or mid summer short trips less than 3 nights). Long trips I always carry one of the inflatables. I use a synthetic quilt 40 degrees for summer, a down quilt 15 degrees for spring and fall and a zero degree mummy in winter. Lastly, I chose the pads I have because the Exped brand is durable exterior and has wider outside tubes that keep me on the pad. I am a side sleeper and I toss and turn a lot. All that info makes a difference bbgoid luck! And find a better article about pads before you just go buy a light one. Big Agnes makes great insulated pads that have varying degrees of insulation and loft. I saw the Q-Core mentioned early, and it is a terrific pad. Being 3 1/2 inches thick when inflated, it allows you to set the firmness of the loft to give you the best comfort without coming into contact with the ground. It's R-Value sets it at +15 degrees, and that provides excellent protection from the cold coming up from underneath you. I use one in combination with a Enlightened Equipment Revelation 0 Degree quilt, and have never been cold, even on the harshest trips. My sleep system weighs less than three pounds. Next to my Zamberlan boots, It's the best part of my backcountry setup. R-Value is also an important consideration. Wish it had been included in the article. Its like you could read my mind. 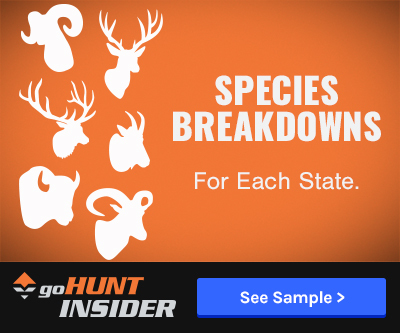 I have been looking to get a good pad for my first backcountry hunt. I have only used the old foam pads which help, but I was looking for something in a smaller package. Tried a Klymit recently for my first inflatable pad. It was awful and I didn't sleep well. Any recommendations for a better pad? is there that much difference brand to brand? Prefer my folding bulky pad at the moment. I’m 6’4, 200, complete side sleeper and run a normal, but this year I’ll I’m gonna try a wide. If the extra couple ounces let’s me sleep without being restless and at least 4 hours...I’ll take it. Good article Josh. Like you I went full circle on the sleeping pad. I went without one or with some super thin piece of junk. Now that I’m a bit older, this is an area I dont mind spending the money. I’ve carried the Exped Downmat UL7 for many years. Then last year I switched mainly to the Big Agnes Q-core SLX. I also had Nemo pad that was good as well. Sleeping on a nice pad after a long day hunting/hiking, is some of the best rest I get all year. Perfect timing for a newbie backpacker thanks. Going with the "normal" for my first one.